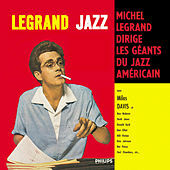 The Academy Award-winning composer Michel Legrand brought his favorite jazz artists together for his dream project. Since the musicians include Miles Davis, John Coltrane, Bill Evans, Art Farmer, Phil Woods, Herbie Mann, and Ben Webster (phew! ), "dream project" doesn't even come close to describing this classic album.